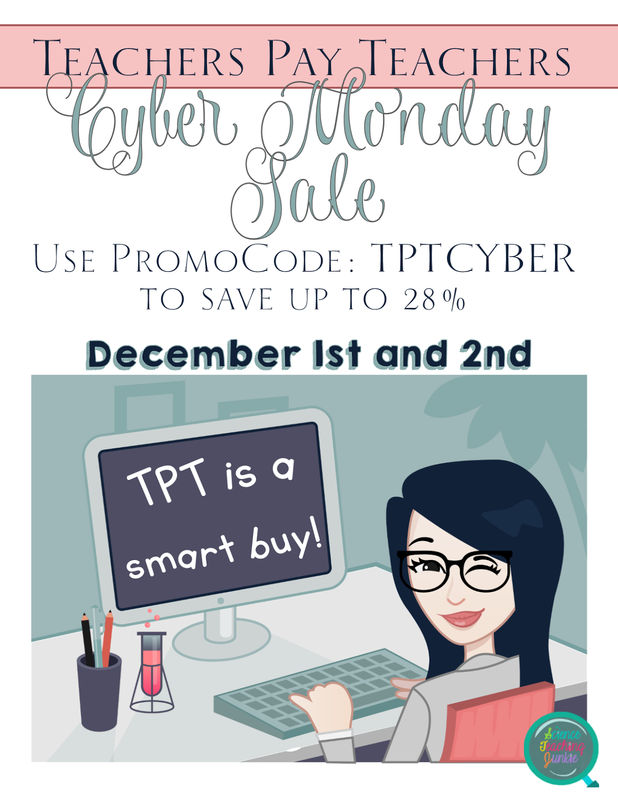 TPT is once again having its Cyber Monday (and Tuesday) sale! And I am joining in! Fill up your shopping cart, get all those items on your wishlist, and save money at the same time. Just don't forget to enter "TPTCYBER" at checkout to save up to 28% on your total purchase.